Dr. Jaber studied Physiology at San Francisco State University, a DDS degree at the University of the Pacific School of Dentistry in 1993. After graduation, he continued his dental education with a General Practice Residency at Valley Medical Center and the Veterans Administration Hospital in Fresno emphasizing internal medicine, oral surgery and general anesthesia. During his private practice he taught at UOP in the departments of Oral and Maxillofacial Surgery and Endodontics. Thereafter he graduated from the University of Pennsylvania School of Dental Medicine. He then completed his advanced endodontic education with an emphasis on the surgical operating microscope and surgery at the University of Graz, Austria in 1997. While attending the University of Pennsylvania he also instructed students the art and science of endodontics. Dr. Jaber also worked with his mentor Dr. Syngcuk Kim at the University of Pennsylvania Microsurgical Training Center teaching seasoned endodontists on how to use the surgical operating microscope for conventional and surgical endodontics. Dr. Kim is recognized nationally and internationally as the foremost leader in microendodontics. Dr. Jaber has presented research at the American Association of Endodontist national meeting and was awarded top honors in the field of how variations of dental anatomy affect third generation apex locators. He remains active within the endodontic community serving as a board member of the Northern California Academy of Endodontists and as an active member in many dental societies and organizations. In 2009 he served as president of the California State Association of Endodontist. Dr Jaber is also a founding member of the Fellow of the International Academy of Endodontics. 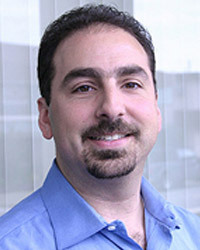 Dr. Jaber is a native of the San Francisco Bay Area. He has spent his dental career in the East Bay, first as a general and cosmetic dentist then as an endodontist. He enjoys spending time with his family, traveling and woodworking.